Brand New · Nintendo Switch · Super Smash Bros.
Iconoclasts Nintendo Switch Limited Run Games #25 New Preorder SHIPS FREE! 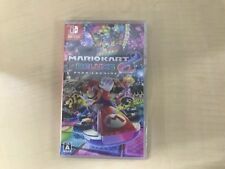 New ListingSuper Mario Odyssey Nintendo Switch New Sealed, Real Super Fast Free Shipping! 503 product ratings - Super Mario Odyssey Nintendo Switch New Sealed, Real Super Fast Free Shipping! Trending at $103.36Trending price is based on prices over last 90 days.